Finned Tube with over years experience in the application of extended surfaces to tubes for the Power cooling, Petrochemical, Automotive and Marine industries. We prides itself on producing quality products at competitive prices, with on time delivery, worldwide. The benefit of technical support research and development facilities are available. We offer a wide range of finned pipe and tubes using ferrous and non ferrous base tube finned with steel, aluminium or copper. This artical introduces our standard range of finned tubes. We offer a wide range of bespoke finned tubes, made to order. As a leading manufacturer of finned tubes, we has the facility to produce and supply finned tubes to suit all applications. we provide customers all over the world with high and low finned tubes (fintubes) and aluminium louvers. 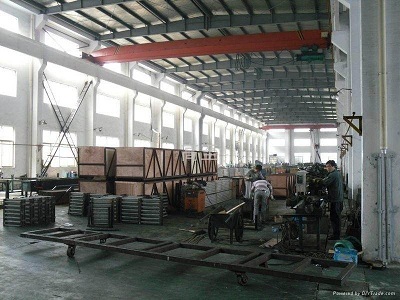 The company is fully independent and the main customers are refineries, petrochemical industries and manufacturers of condensers, air coolers and of complete heat exchangers . Due to the highest quality standard and reliable delivery times, we are pre-qualified by all major refineries in the world for the replacements of the finned tubes and many well known manufacturers of complete aircooled heat exchangers are using our fintubes.